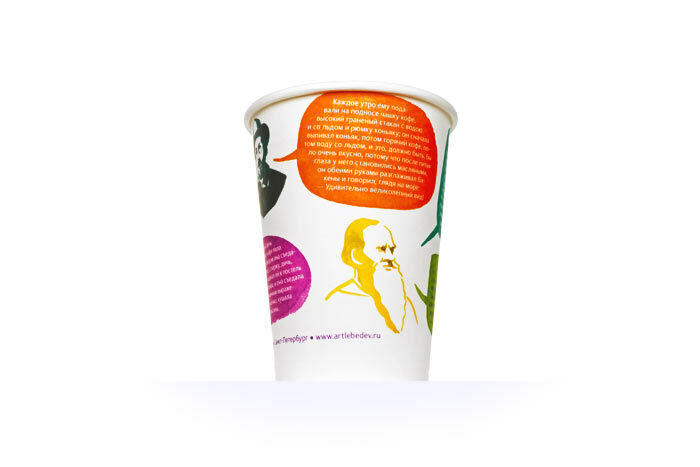 Task: to design to-go cups for our cafés. 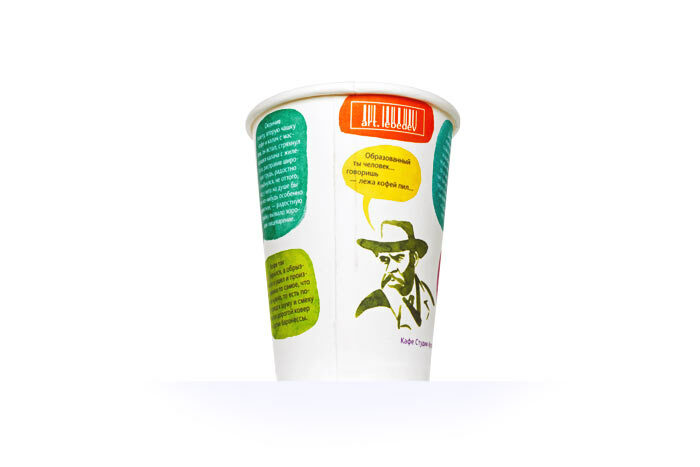 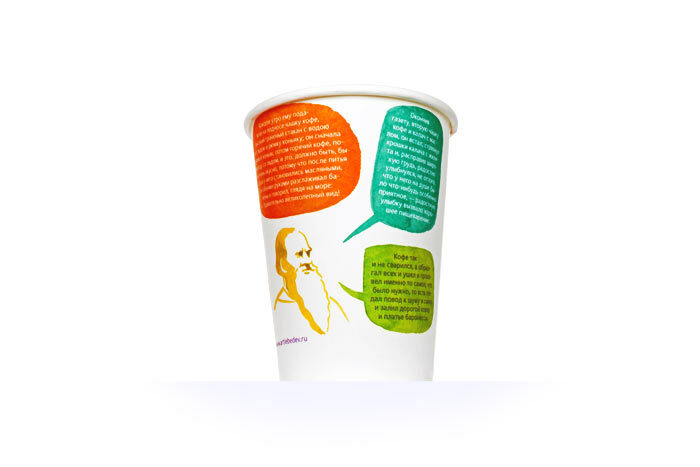 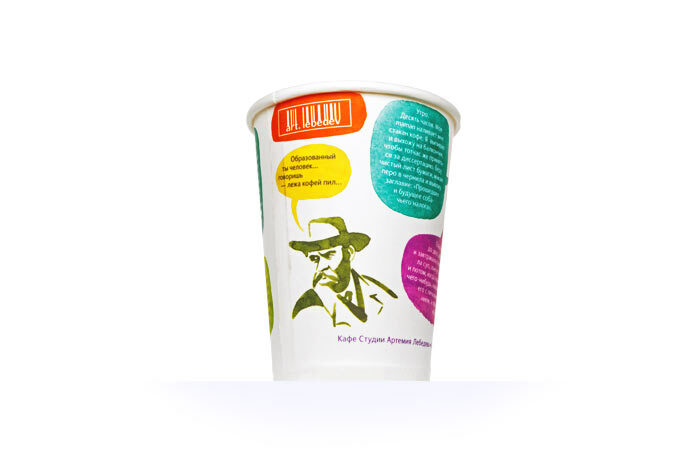 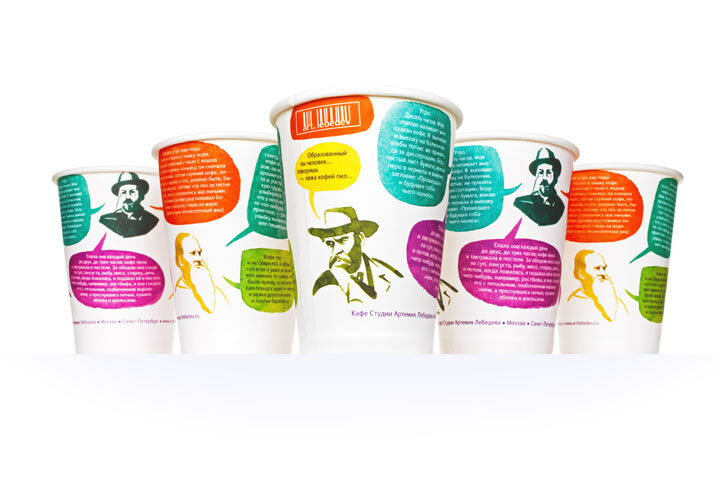 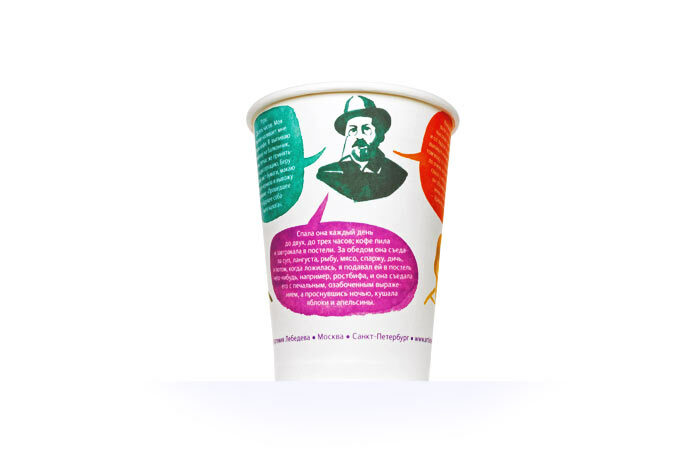 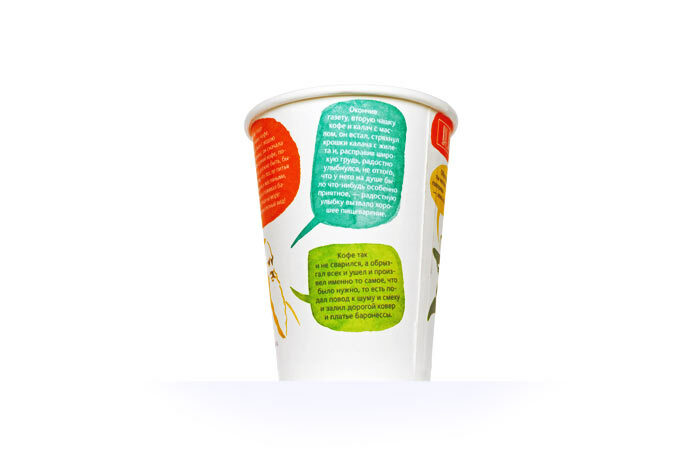 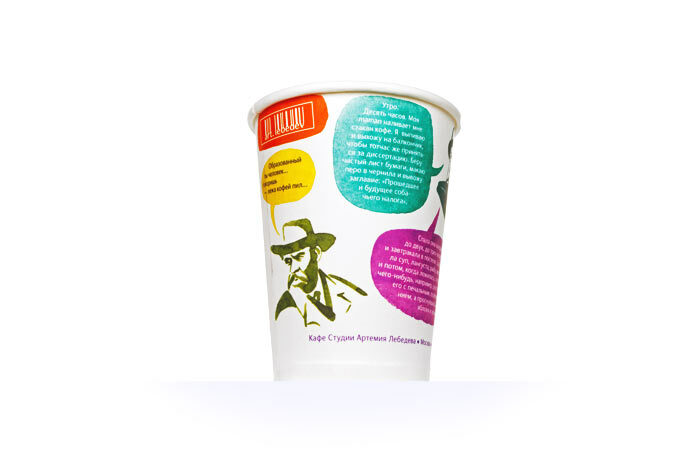 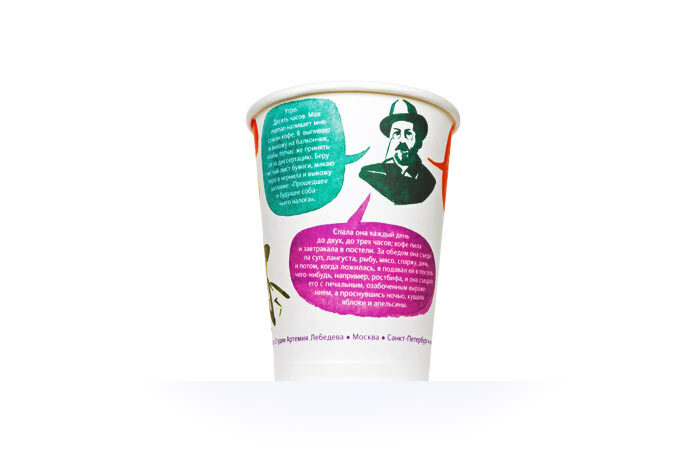 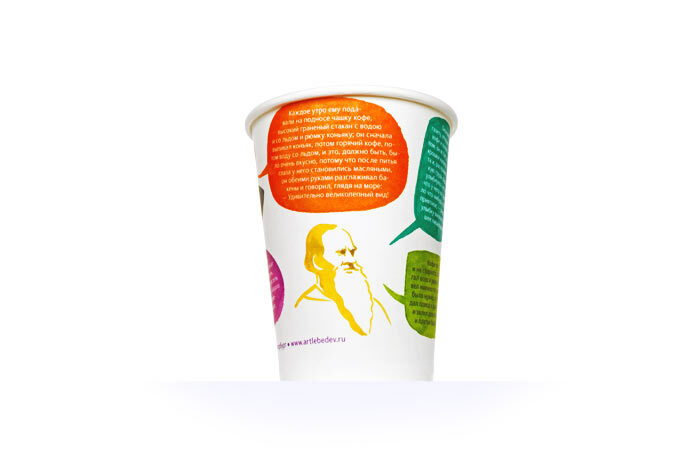 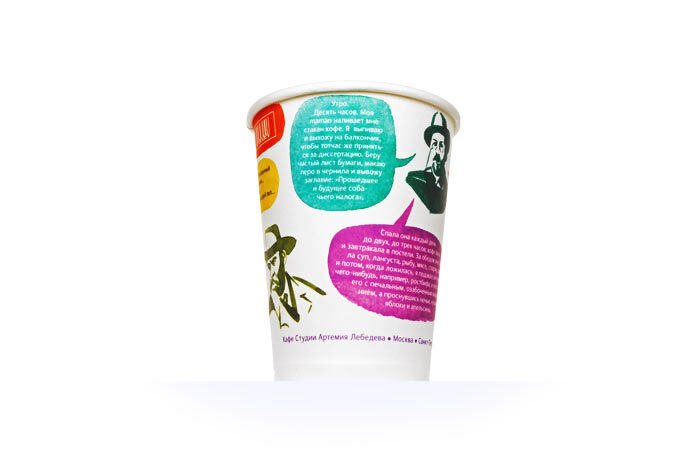 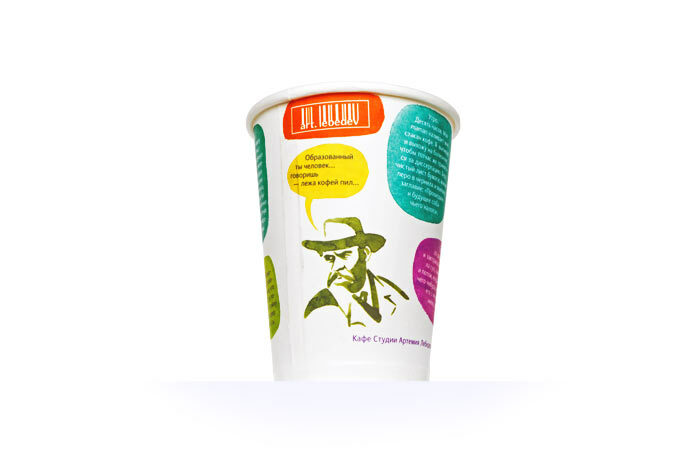 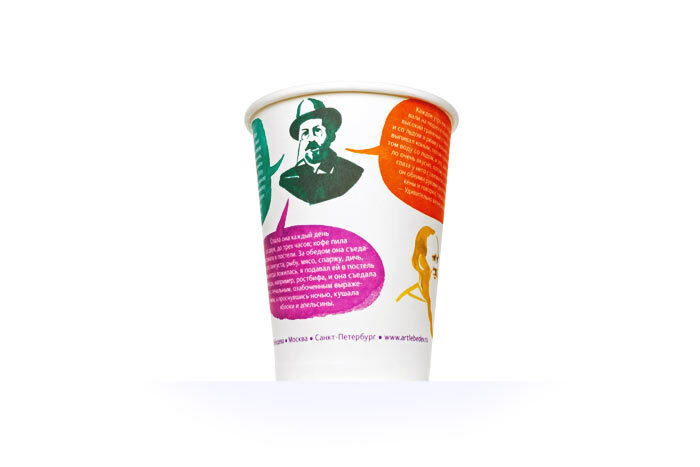 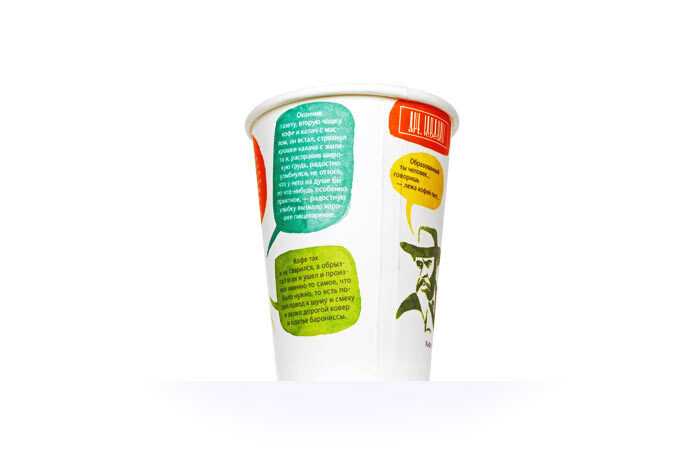 Our cafés got you covered: take your favorite drink out in an artsy and smart way with our new to-go cups sporting portraits of Leo Tolstoy, Chekhov, and Gorky. 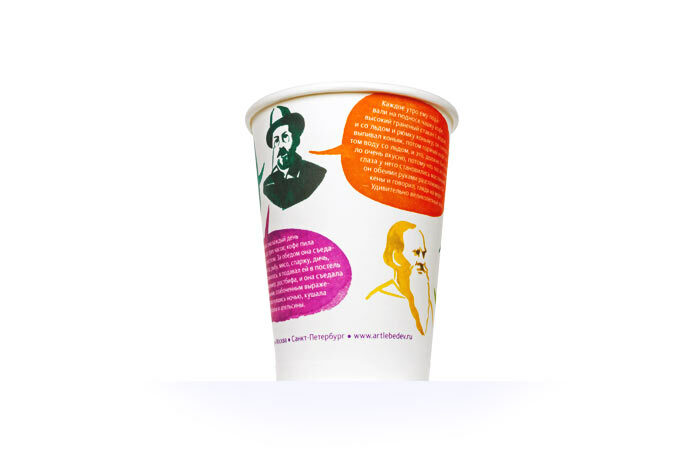 Each cup has some excerpts from the said classics’ masterpieces related to—you guessed it—coffee.